In the Netflix Series “Tidying Up” best-selling author Marie Kondo travels from household to household decluttering, discarding and organizing a home one section at a time. Learn how applying this method to every aspect of your life can lead to a simpler, happier and freer lifestyle. We are thrilled to introduce our 8-week entrepreneurship incubator program. Designed with fashion and beauty brands in mind, this learning intensive focuses on the conceptualization, development and launch of product or service-based businesses in the Fashion + Beauty Industry. 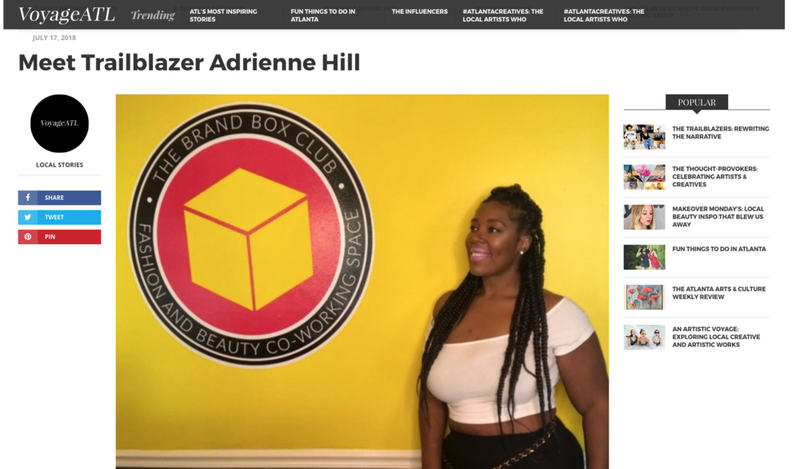 The idea of this incubator program sparked while our founder, Adrienne Hill worked with hair and beauty brands with sister company Brand My Bundles. 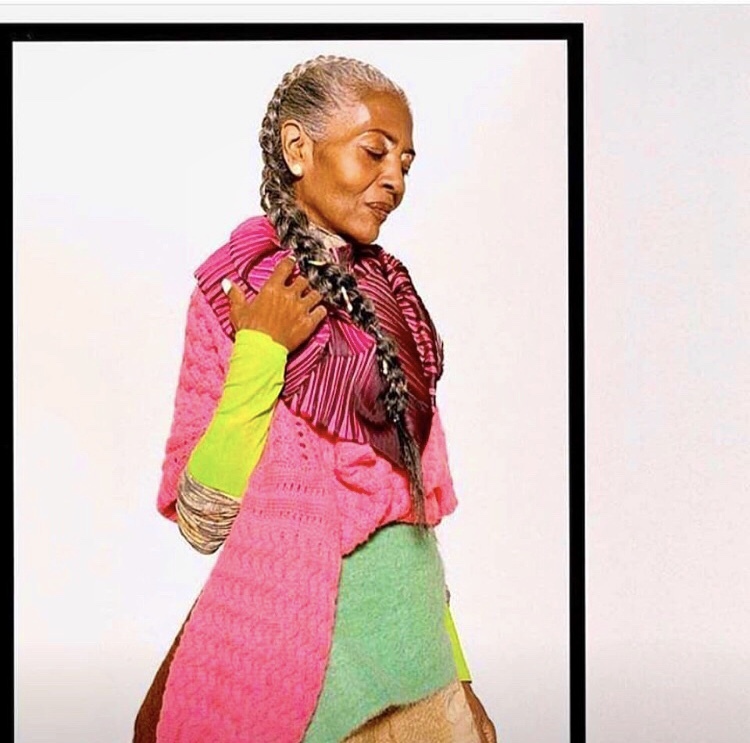 She noticed that there was an abundance of hair and beauty schools that taught technical skills and salon suites that encouraged entrepreneurship, however there was no place to cultivate knowledgable entrepreneurs after they completed beauty school. The gap between beauty school and owning your own business is a huge one, and the incubator program is designed to bridge that gap one business at a time. During the 8-week course, students will focus on a different aspect of business each week while working hands-on to build their brands. They also will have perks like access to our new dry salon suite, discounts on space bookings, one-on-one mentorship and more! The first session begins March 9, 2019 and will continue every two months throughout 2019. Applications are now open for the Fashion + Beauty Incubator program, and the deadline to apply is March 1st. For eligibility requirements, tuition costs and a detailed overview of the program, please visit the link below. 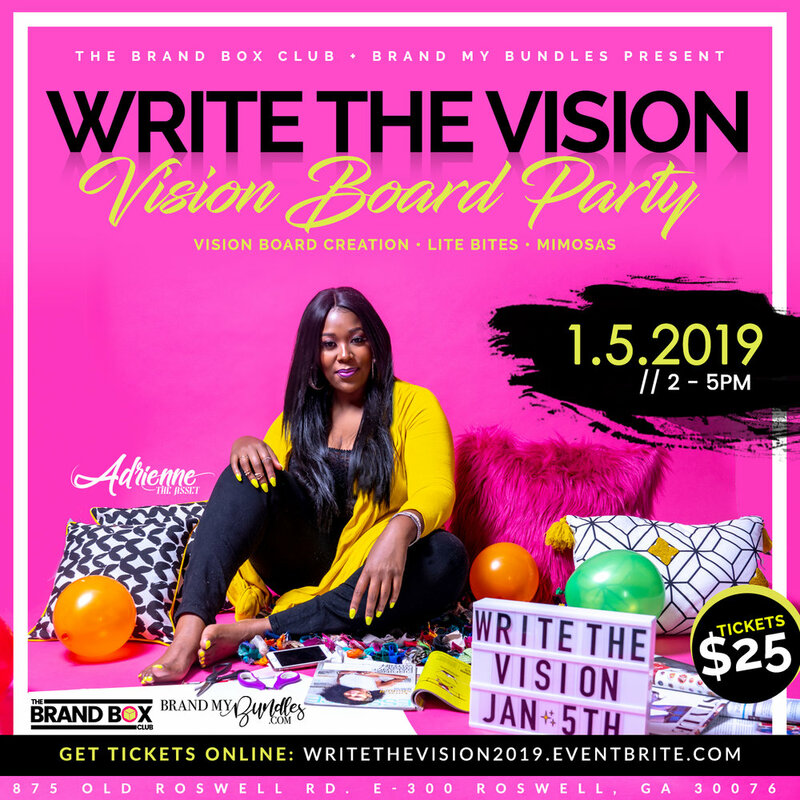 The Brand Box Club and our sister company, Brand My Bundles, presents: Write the Vision 2019! Join us as we cast vision over 2019 through vision board creation while enjoying lite bites and mimosas. Tickets are limited at only $25. Secure your seat before they are all gone!